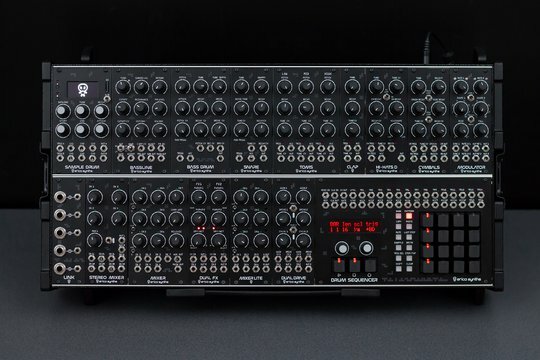 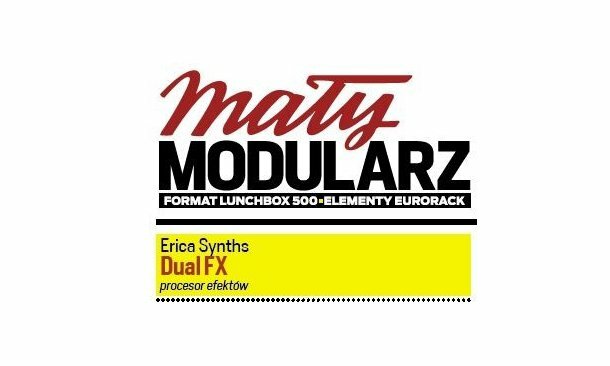 EricaSynths - Dual FX reviewed! 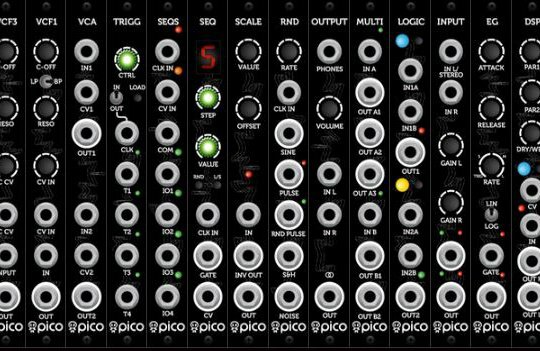 The module is tailored so it's perfectly suitable for playing live; we have only three parameters in each section (two parameters apply the selected algorithm, and the third is Dry / Wet) but they are so finely chosen that actually nothing more is required to achieve happiness. 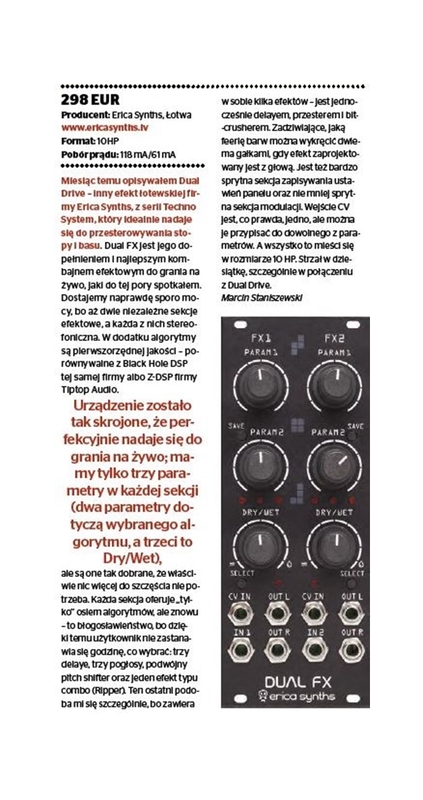 Each section offers "only" eight algorithms, but again - it's a blessing, because thanks to that the user does not have to think what to choose for an hour : three delays, three reverb FX, double pitch shifter and the Ripper.